I reviewed Po Boy Pizza back in August. I gave rave reviews, and then continued to slap myself for not realizing how awesome they are before uprooting myself to become a Westsider. In the meantime, the house sale has become a huge mess, and I’ve frequented Po Boy as a homage to what soon will be “remember when” days. What could be wrong when everything looks SO RIGHT? So rather than sticking to a purely pizza roll menu, I decided to branch out and try the pizza. If you remember from my first review, Karla and I tried their pizza a long time ago. Right when I first moved in. And we weren’t impressed. I remembered the pizza as a pan crust, extra greasy. But this wasn’t at all what I got this time around. Either my memory fails me on where we got that pizza, or we were having really, really, really bad days. Because if there’s something Karla and I like, it’s pizza. This pizza was good. It wasn’t Gambino’s. But let’s be real. 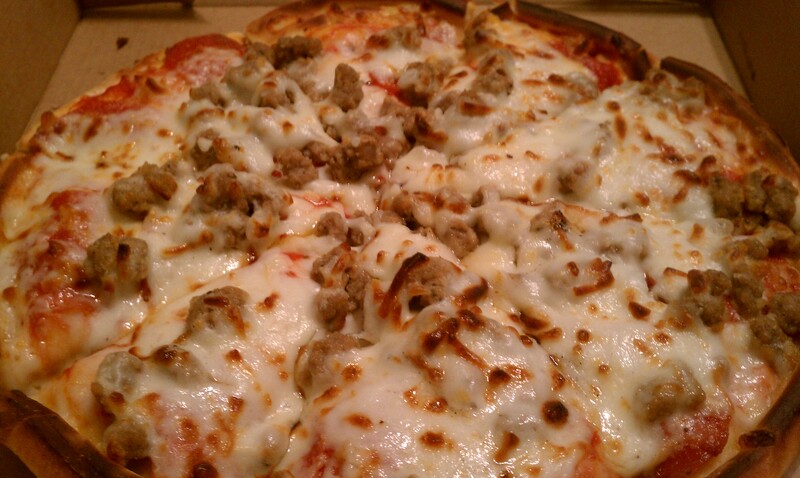 The only thing for me that’s Gambino’s is Gambino’s. But the crust was not really thin or thick, and not greasy at all. The toppings were good, with a generous amount of cheese. Not under or over-cooked (take note, Pizza Hut). 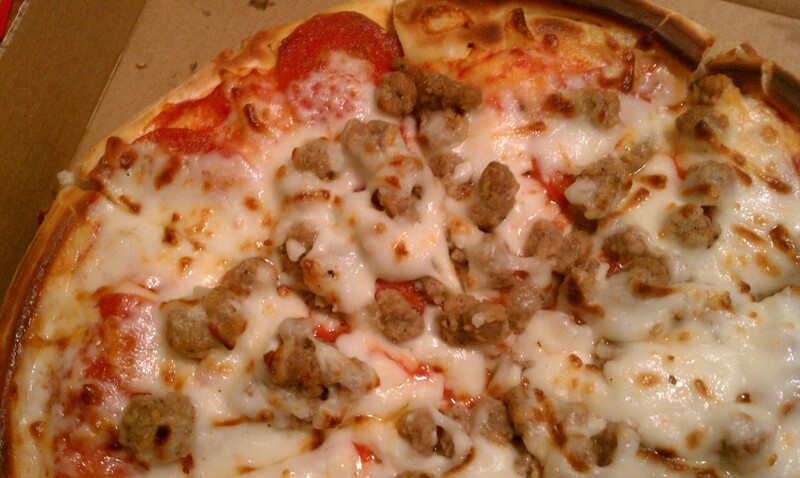 All in all, I can see myself craving this pizza again, but still find myself mostly craving their pizza rolls. I think because there are lots of places to get pizza, but Po Boy is the only place to get the most delicious pizza roll in town. So it is and always will be my Pizza Roll Palace of Deliciousness. In the meantime, rest easy, they also serve legit pizza.